Abaris Web Portal Development is a multi-dimensional activity that involves proficiency at many levels whether it is architecture design, GUI design, DB planning, coding or middle tier integration. A portal well executed, create a brand for its owner and becomes known gateway for the users across World Wide Web. Travel Portal is a comprehensive and powerful web based tool, designed for Travel Industry. 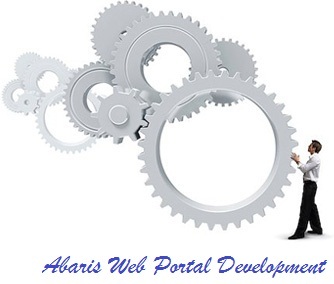 Today, ABARIS is known as one the best travel portal development company in Bangalore, India. We provide consulting, development for all the aspects of B2B & B2C travel portal and integration of various APIs for air booking, hotel booking, travel packages, bus booking and insurance. As a leading Real Estate Portal Development Company in Bangalore India, we provide consulting, design, development and implementation, all the aspects of B2B & B2C real estate portal development in India. Our team is proficient in architecture design, GUI design, DB planning, programming, integration and testing, all the aspects of real estate portal development.